On the farmland of Kaldbakur, within the town of Husavik, there are 18 newly built cottages of timber logs. 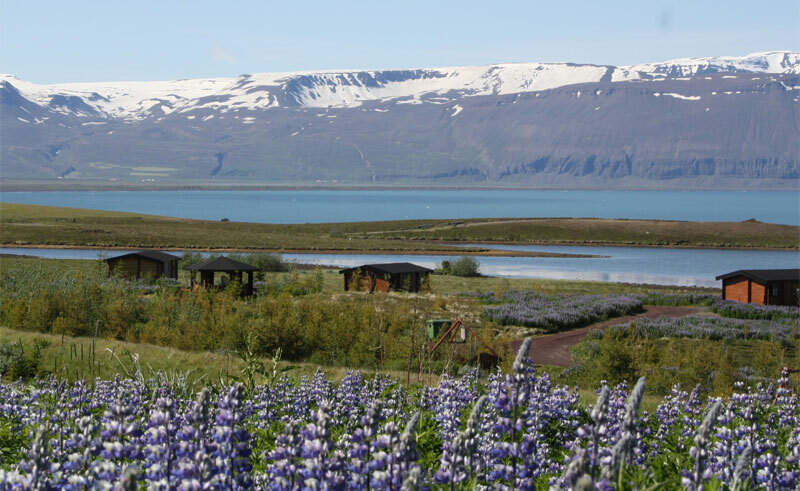 These small, one-bedroom wooden summerhouses are beautifully situated by the sea and perfectly placed for those who want to explore Iceland’s ideal northern wilderness while being close enough to the country’s whale watching capital to get out onto the water as well. On a stay in one of these cottages, the view is outstanding, the air is fresh, the water is clear, the peace is overwhelming and the possibilities are endless. Nicely decorated with full facilities, the cottages feature a large hot tub and children’s playground for shared use on site. Each cottage is 20-30sq metres in size with private shower and WC, TV, internet and kitchenette alongside a terrace featuring beautiful views of the area.